Since 1989 Alan Liebowitz has protected the rights of clients throughout Bergen, Hudson, & Passaic Counties. Get started with a free consultation. Alan Liebowitz can help defend clients facing all types of misdemeanor or felony charges. Alan M. Liebowitz, Esq., LLC can help you reach the best possible solution for a workers’ compensation dispute. Any legal matter can be overwhelming, and at times, even frightening. If you are unaware of your rights or options, making one misstep could result in life-changing repercussions. However, with a skilled, experienced, and qualified legal professional on your side, you can begin to make empowered and informed decisions that can help protect your rights and interests for the long-term. This is where Alan M. Liebowitz, Esq., LLC steps in. Attorney Liebowitz has more than 25 years of legal experience and handles many types of criminal defense, personal injury, and workers’ compensation matters. He has helped represent hundreds of clients throughout Englewood and other surrounding areas in Bergen County, New Jersey. 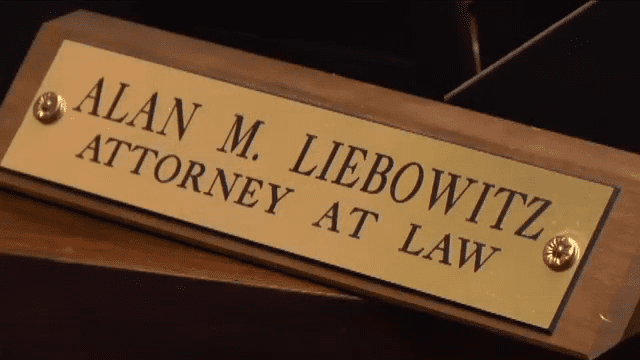 Mr. Liebowitz has demonstrated his legal savvy by securing a proven record of results on behalf of his clients and practices under the basic tenet of providing each client with personal and aggressive advocacy. If you have questions about your rights or would like to speak to someone about your case confidentially, contact an Englewood criminal defense lawyer at (201) 340-9338. Need Reliable Legal Guidance for Your Case? Contact Alan M. Liebowitz, Esq., LLC 24/7! Things can happen outside of business hours, especially for criminal defense matters, accidents, and work-related injuries. That’s why Alan M. Liebowitz, Esq., LLC stays accessible 24/7 to help you. If you have been arrested, injured, or involved in a work-related incident, do not wait to get the legal counsel you need. Attorney Liebowitz handles every case personally and can guide your steps from beginning to end until a favorable outcome has been reached. For your FREE initial consultation, contact the firm at (201) 340-9338.